For those facing criminal charges or injured due to the negligence of others, The Veitch Law Firm in Erie, Pennsylvania, is a strong advocate. 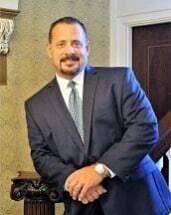 Attorney Jeffrey Veitch is an experienced and dedicated criminal defense and personal injury attorney whose services are available to clients from Erie and Crawford counties and throughout NW PA. In addition, Attorney Veitch defends clients facing prosecution for major traffic offenses and boating under the influence offenses. After earning his Juris Doctor from Capital University Law School in Columbus, Ohio, Attorney Veitch worked as a prosecuting attorney for several years before establishing The Veitch Law Firm. He has handled thousands of criminal cases and litigated more than 100 cases through trial. The Veitch Law Firm offers free initial consultations and accepts all major credit cards for its clients' maximum convenience.